Contrary to what some audiophiles might tell you, you don’t need to fork over an arm and a leg to get a great pair of headphones. While we’d all love to be able to drop hundreds of dollars on a life changing pair of cans at a moments notice, most of us have to make do with what we can afford. No need to fret, however – now more than ever there are plenty of affordable options for audio enthusiasts that can still change the way you listen to music without breaking the bank. There’s virtually endless options out there for those seeking headphones under 100 dollars, but only some of them will really deliver high quality sound. Those of us on a budget especially understand the need to make sure we’re getting the most for our money, so we’ve compiled a list of the best headphones under 100 dollars that are currently available. We’ll be updating the list regularly with new options as they come to light! Priced at right under 100 dollars, the Grado SR80i headphones are some of the best headphones you can get for the price. 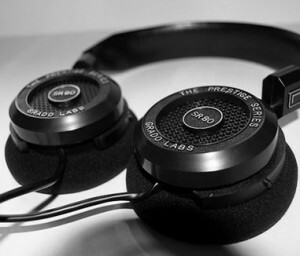 Grado headphones are well known by serious audiophiles and music/audio professionals for their outstanding quality. Although their name might not be as familiar to you as Sony or Sennheiser, Grado Labs (the company who designs and manufactures all of their headphones) goes to great lengths to keep their products more about quality than quantity – relying on word of mouth advertising ever since they got started in Brooklyn New York, all Grado Headphones are hand crafted to ensure that they’re of the highest quality in the world. The Grado SR80i headphones specifically are amazing for their price. The open ear headphones design isn’t necessarily noise canceling, however the sheer quality (and volume potential) basically ensures that you shouldn’t have many issues with external noise. The open ear design also provides a very natural and full sound stage – it feels more like being at a live performance than listening with headphones on. Each and every pair of Grado headphones are made with their “vented diaphragm” technology – in layman terms, this gives you a large amount of space surrounding your ear within each ear cup. That’s a big part of what makes them feel like you’re surrounded by the music instead of it being inside of your head. This lowers any distortion or frequency resonance and extends bass response considerably, as well as giving you a more “natural” sound; as if you were standing in a large room in which the music was being played, you can hear the separation between different sounds and instruments clearly. 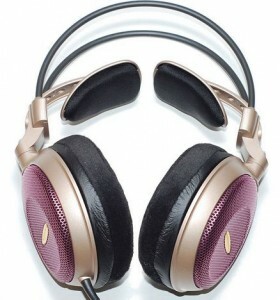 AKG headphones are another name in the audio equipment industry which are known for their high quality products. For over 50 years they’ve been designing and producing some of the best headphones on the market for audio professionals worldwide, and remain one of the top choices for studio monitoring, live dj headphones, etc. The AKG K240 headphones series dates back to 1975, although they have technically changed considerably since then. 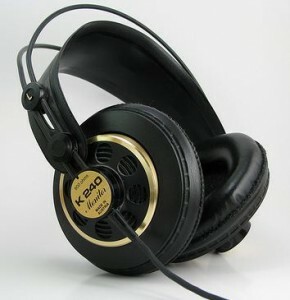 The original AKG K240swere produced from 1975 – 2006, after which the technology was upgraded to suit modern devices and quality standards. These days, the AKG K240 headphones are some of the best headphones under 100 dollars that you’ll find – boasting modern “varimotion diaphragm” technology which concentrates different frequencies at different locations within the earphones themselves, the sound stage on the AKG K240′s is immense! Solving the issue that most over the ear headphones under 100 dollars face, there is plenty of width, depth, and texture to individual sounds. You can be assured that you’ll hear the bass separately and clearly from the mids and highs, all the way across the frequency spectrum. Durability is excellent with the AKG K240s as well – no parts are made from cheap plastic materials that are only going to break after a few months. Included with your purchase as well are two separate sets of earphone covers (leather and velvet) depending on your preferences in order to ensure maximum comfort. With the proper earphone covers, adjustable/flexible headband, and the semi open ear earphones, these are good to go for hours of comfortable listening. The Koss PortaPro headphones have stood the test of time as a great line of budget, portable headphones that actually perform very well for their relatively low price. Koss recently celebrated its 25th “PortaPro” anniversary with a special limited time version of these headphones; if they’ve stayed around this long, there must be something to them! The first thing many people notice is the “retro” design – barely changed from when they first appeared on the market in the 80′s, the Koss PortaPro headphones have a small, minimalist design which makes them excellent portable headphones while on the go due to their lightweight frame. They’re easily some of the lightest headphones I’ve ever owned, and take up the least amount of space. Customizable side plates allow you to place any colors, logos, etc. that you would like on the earphones! When not in use, both earphones can individually collapse and clamp into the headband. They can then be placed in the convenient cloth storage/travel bag included with purchase. For the price, the Koss PortaPro’s actually sound excellent. They are an open ear headphone design so there will be some leakage of sound into and out of the headphones while listening, however the quality of the sound is better than any other cheap headphones that can’t hold a candle to the Koss PortaPro’s. Bass and low frequencies are definitely their strongest aspect, while mids and highs enjoy very respectable quality too. Rock, metal, hip hop, and electronic music will all sound great through on these. SennHeiser headphones have always been a name synonymous with quality and perfection in the realm of audio equipment from just about anything from microphones to avionic headsets, but their true claim to fame has always been their headphones. 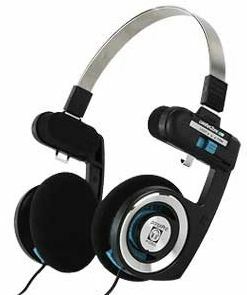 Covering just about any price range or budget you can imagine, Sennheiser headphones are priced anywhere from their cheapest models that only cost around 20 – 30 dollars or so up to their best headphones which can fetch a price of over 1500 dollars! Over ear headphones cancel out any outside noise effectively – up to 32 decibels of noise isolation! The Sennheiser HD280 Professional Headphones fall somewhere in between. As unquestionably some of the most popular headphones under 100 dollars that are currently available, they are many peoples first foray into professional grade headphones due to their reasonable price and high quality. 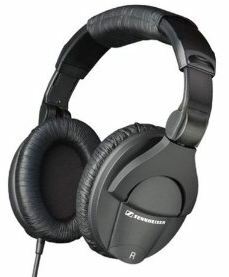 Pretty much any headphone reviews within this price range are going to include the Sennheiser HD 280s– not only are they extremely comfortable, durable, and easy to transport, but the most important aspect – sound quality – is far above par. As is the case with just about any and all models of Sennheiser headphones, audio reproduction is top notch with these; rich, full bass is recreated flawlessly alongside crisp mids and highs, all of which can be heard separately from one another without issue. Easily some of the best headphones for bass that you can get for the price. Although Sony headphones generally can’t stand up to some of the best headphone manufacturers(Sennheiser, Audio Technica, AKG, etc.) 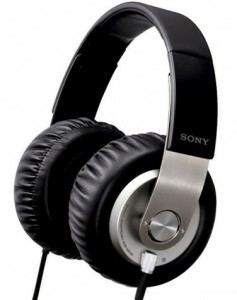 when it comes to the top of the line headphones that start breaking into the four figure range, at this price point the Sony extra bass headphones (Sony MRD-XB700) actually perform surprisingly well. With giant, thick ear cushions (2 inches thick, 4.3 inches in diameter!) you can tell just by looking at them that these are going to be comfortable headphones to wear for long periods of time. There’s simply no getting around the fact that they’re very large compared to some headphones within the same price range and not quite as portable, but these aren’t headphones you would use for DJing or bringing on the road. If you’re looking for some of the best bass headphones under 100 dollars though, these are a great choice – those large, comfortable earpads not only provide maximum comfort for the user, but also serve to seal in sound and produce the best reproduction of bass and low end frequencies possible. Many users report feeling cheated after spending hundreds of dollars on what they thought were vastly superior headphones only to find out that the Sony MRD-XB700′s are just as effective for a fraction of the price! And just because they’re marketed first and foremost for bass music by no means indicates that they’re any less quality for mid and high range frequencies – although bass is the most prominent, other frequency ranges don’t suffer reduced quality in any way – you’ll find that the deep, textured bass is accompanied naturally by plenty of clarity in the mids and highs. Audio Technica is well known for their quality when it comes to the best headphones, and these are no different from the rest. We did an ATH-M50 review of one of Audio Technica’s debatably most famous and widespread pair of headphones. Known for quality and reasonable prices, Audio Technica makes quality headphones and audio equipment. The Audio Technica ATH-AD700′s are an excellent pair of headphones under 100 dollars. They aren’t over ear headphones which block out any external noise, but with the volume capabilities they damn near accomplish the task. Just like the ATH-M50′s the ATH-AD700 headphones make it possible to hear everything separately. Unlike stock laptop speakers and cheap headphones, instead of hearing everything as a muddled together mess, these excellent headphones allow the listener to hear each sound independently of one another. The headband is solid, flexible, and cushioned to allow for maximum comfort. The length of the headband is adjustable, as are each of the earphones which can swivel and rotate interdependently of one another. Founded by Kevin Lee, one of the major players in the design and creation of the “Beats by Dre” line of headphones, SOL Republic is a new company now in the business designing their own line of headphones. Thankfully Kevin Lee & SOL Republic were able to put together a great pair of cost effective headphones which offer an even higher quality listening experience than most “Beats By Dre” models at a fraction of the price! Sound quality, of course, is of paramount importance with any headphones, and the SOL Republic Tracks don’t suffer in this department at all. Bass / low end frequencies are clearly emphasized slightly, which surprisingly have plenty of depth for being on ear headphones as opposed to completely sealing over the ears. Bass is tight, punchy, and present without distortion or muddiness, and it doesn’t stand in the way of the bright highs and warm mids either. 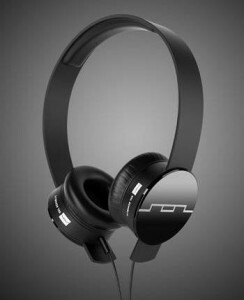 Not only do the SOL Republic Tracks On Ear Headphones sound great, but they boast a stylish, functional design as well. The small ear phones rest on each end of the SOL Republic “FlexTech” headband, which is made from a durable plastic material which can be twisted and turned in just about any awkward position you can imagine without a hint of damage! The SOL Republic Tracks minimalist, no frills construction also contributes to their durability – with few moving parts and bulky pieces, there is very little that actually can break with these. If you’re interested in customization options too, the SOL Republic Tracks also have the ability to remove the ear phones and replace the headband with different colored options, which also goes for the ear phones themselves!